The former priestess turned fighter arrives as a new event kicks off. 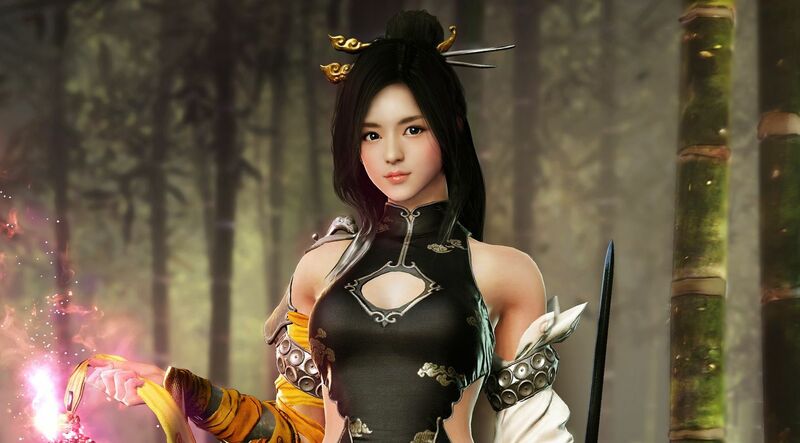 If you’re still playing Black Desert Online, then the MMO’s newest class Lahn is now available to play. Game passes have also been discounted on the game’s official website, Humble Bundle and Steam. The 50 percent discount will be available until May 28th, 5 PM UTC. Pearl Abyss and Kakao Games have also announced a special level-up event starting today and ending on June 13th. This event will provide items like Gold Bars, Black Stones, Lauren Family Gift Boxes and more. Starting out and leveling Lahn from scratch will be made easier with this event. As for Lahn, she’s essentially a former priestess who becomes a martial artist after the death of her lover. Lahn uses a new weapon type, an extendable weapon called the Crescent Pendulum which is essentially a crescent moon blade on an elongated piece of cloth. She also possess an off-hand weapon called Noble Sword for chaining together combos. Nimbus Stride works with Lahn’s agility, allowing her to glide through combat.